The Bradford pear seemed to leap from an architect’s idealized rendering. But in this case, reality outshone the artist’s vision. It was upright and symmetric in silhouette. It exploded with white flowers when we most needed it, in early spring. Its glossy green leaves shimmered coolly in the summer heat, and in the fall, its foliage turned crimson, maroon and orange — a perfect New England study in autumnal color almost everywhere it grew. And it grew everywhere. It flourished in poor soil, wet or dry, acidic or alkaline. It shrugged off pests and diseases, it didn’t drop messy fruit like mulberries or crabapples. Millions of Bradford pears would be planted from California to Massachusetts and would come to signal the dream and aspirations of postwar suburbia. 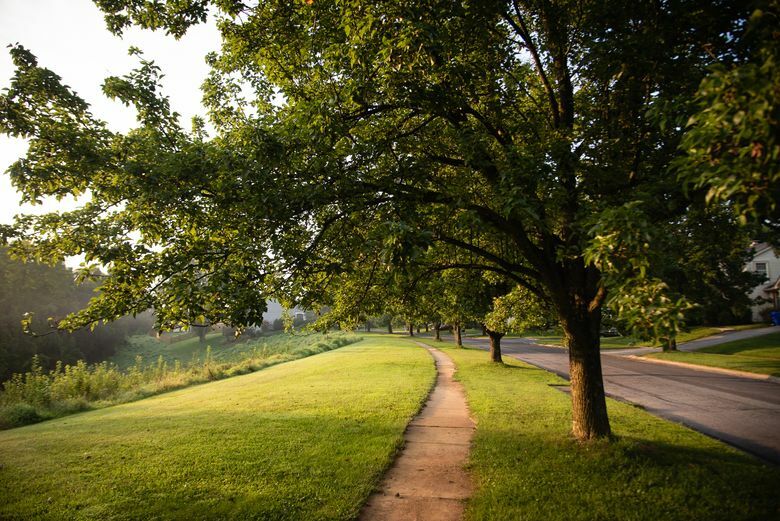 Like the cookie-cutter suburbs themselves, the Bradford pear would embody that quintessentially American idea of the goodness of mass-produced uniformity. But like a comic-book supervillain who had started off good, the Bradford pear crossed over to something darker. It turned from thornless to spiky, limber to brittle, chaste to promiscuous, tame to feral. Most of all, it became invasive. It is now an ecological marauder destined to continue its spread for decades, long after those suburban tract houses have faded away. Generations yet to be born will come to know this tree and learn to hate it. It is at its most conspicuous in early spring, when it bursts into flower. Suddenly whole rural landscapes — meadows, old pastures, woodland edges, ditches, the sides of highways and railroads — are lit up by its blossoms. From early March to mid-April, you can now track the arrival and progression of spring in the United States not as amber waves of grain but as a frothing tide of Bradford pear. But to take his research further, Reimer needed lots of genetically rich wild seed from China. He turned to David Fairchild, a dynamic young botanist in Washington, D.C. Fairchild is best remembered as the guy who helped bring the Japanese cherry blossoms to the capital, by first growing 125 imported trees on his estate in Chevy Chase, Maryland. Meyer left Washington in mid-August of 1916, traveling west to see Reimer’s pear trials in Oregon and finally departing Seattle bound for Japan on the last day of summer. 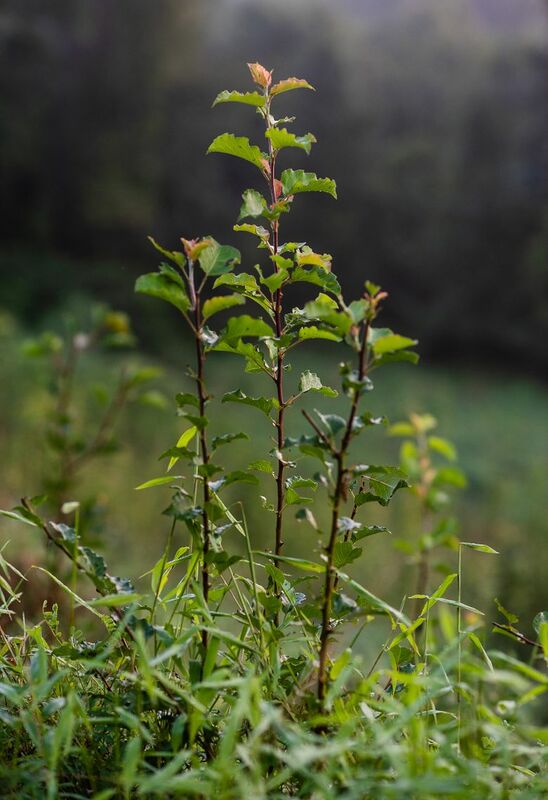 He eventually made his way to Yichang, a four-day boat ride from Hankou (now Wuhan) up the Yangtze, and he soon found wild-growing callery pears, if not in the extravagant amounts Reimer was seeking. “Altho’ not rare in the hills around here, the trees are very widely scattered, they are often quite small and as such produce individually but little fruit,” he wrote. He made arrangements for locals to collect and process the seed the following fall and sent his first shipment of callery-pear seed to Fairchild in September, and the following month he teamed up with Reimer and gathered another 25 pounds of seed — enough to grow a small forest of callery pears. In the early 1950s, a horticulturist at Glenn Dale named John Creech began to see the callery pears there not as a rootstock for the common pear but as an extraordinarily handsome and tough street tree in its own right. 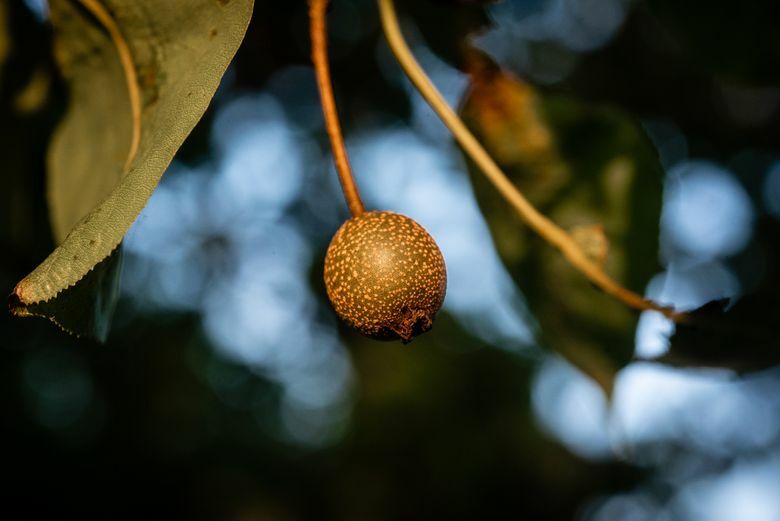 He latched on to a single specimen that had been grown from seed that was not part of Meyer’s shipment but acquired soon afterward in Nanjing as part of Fairchild’s same feverish search for callery-pear seed. Before releasing the Bradford ornamental pear to the nursery trade, Creech decided to trial it in the nearby Washington suburb of University Park, which was then treeless and had difficult soil — perfect for putting this wondertree to the test. He planted 180 saplings in 1954. He pruned them to keep lower branches out of the way of pedestrians and cars, but also to give each tree a handsome profile. This undoubtedly produced more attractive and useful trees but further hid the Bradford’s weak-wooded Achilles’ heel. Happy with its performance in University Park — some of the original Bradfords are still there, as lanky, open shade trees — he officially released the Bradford pear to the nursery trade in January 1960 and invited growers to obtain shoots for grafting onto callery-pear seedlings. Each Bradford scion would be genetically identical, but the rootstocks each had their own DNA. This would come back to bite us. For a few innocent years, the only thing working against the Bradford pear was its ubiquity. It was so golden that every nursery grower wanted to propagate it and every homebuilder and highway department wanted to plant it. In 1966, Creech and his colleague William Ackerman wrote that the University Park plantings had displayed very little fruit, in contrast to the situation back at Glenn Dale, where the whole zoo of callery pears — 2,500 seedlings — had produced “abundant fruit development” on similarly aged Bradfords. Their point was that if you kept Bradfords away from other pears, messy fruiting wouldn’t be a problem. But they clearly missed the ecological repercussions. And in the University Park planting, they noticed something else that should have raised alarms. On a few grafted trees where the scion had failed, the rootstock had produced suckers that then bloomed. These flowers, with the help of bees, caused the “sterile” street trees to set viable fruit. Creech and Ackerman minimized the problem, saying it was highly localized. Clues to the callery pear’s invasiveness are buried in a journal paper written by Ackerman in 1977, when he announced the introduction of another variety named Whitehouse, chosen because it was more upright than Bradford and better suited to small gardens. But this selection was a fugitive from Glenn Dale, growing as a seed deposited by a bird on a neighboring property; Bradford was one of its parents. The callery pear had escaped the reservation. Four years later, the National Arboretum in Washington, D.C., introduced an even more columnar variety named Capital. Meanwhile, commercial-plant breeders were bringing to market other varieties of the callery pear, and by the mid-1980s, a dozen or so were available for planting. Many of these were introduced to get around the Bradford’s poor branch structure and propensity to break. Sterile by themselves, any two of these varieties together would produce a heavy fruit set for winter bird dispersal. The stage was set for the callery pear’s quiet occupation of the countryside. If Creech had regrets about introducing the Bradford pear, he kept them to himself. In economic terms for nursery growers, the tree was manna from heaven. “Without thinking much about it, we have globalized our environment in much the same way we have globalized our economy,” Del Tredici has written.